Dorset Country Holidays Glamping is the leading independent glampsite in the country; having offered glamping since 2006 & with almost half a century of experience in providing camping holidays. We provide a range of glamping holiday accommodation offering some of the best value in the UK. 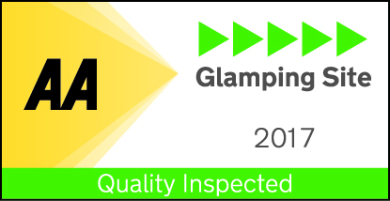 Please feel free to browse the range of glamping accommodation types that we provide and contact us directly for availability. 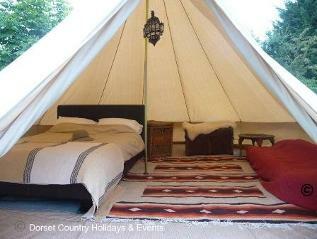 or feel free to complete the enquiry form at the bottom of this page to check glamping availability. A real traditional luxury camping experience. 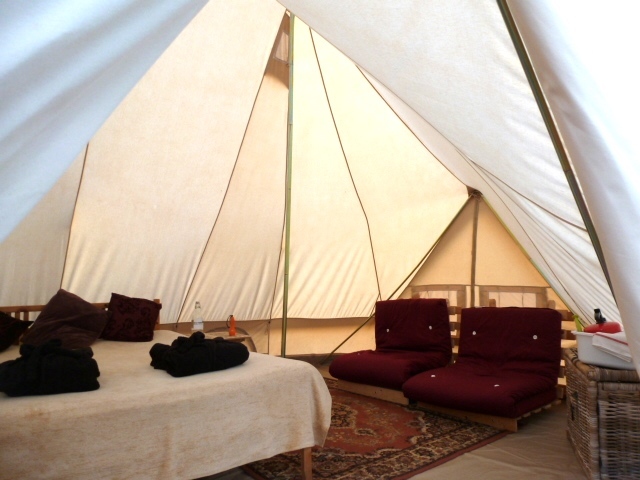 Choose from our 'explorer' glamping bell tent hire or 'exotic' glamping bell tent holiday. Both glamping bell tents have electricity and creature comforts, just choose whether you wish to relax on a double bed after a hard day exploring Dorset or recline in nomadic luxury and day beds. 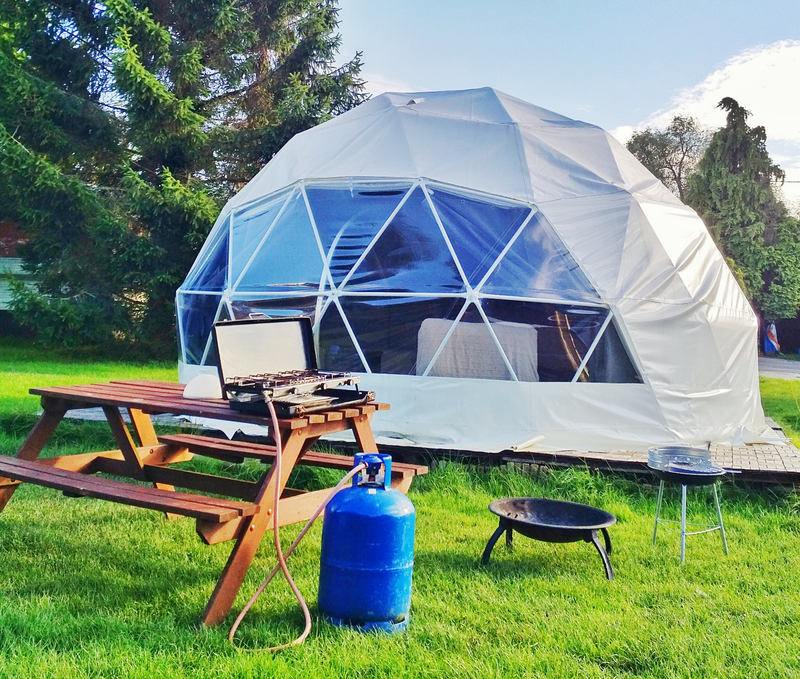 Known as geodesic or GeoDomes, our glamping Dome can welcome up to four people and is insulated so available all year round. 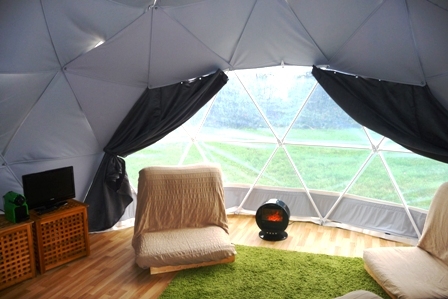 The glamping Dome has a large picture window and comes complete with double bed, two single futon beds, gas stove, electric cooler, electric lights and sockets TV/DVD & a fire pit for burning wood or toasting marshmallows! Cool in Summer & warm in Winter our yurts are the perfect combination of traditional design, British manufacturing and luxury. 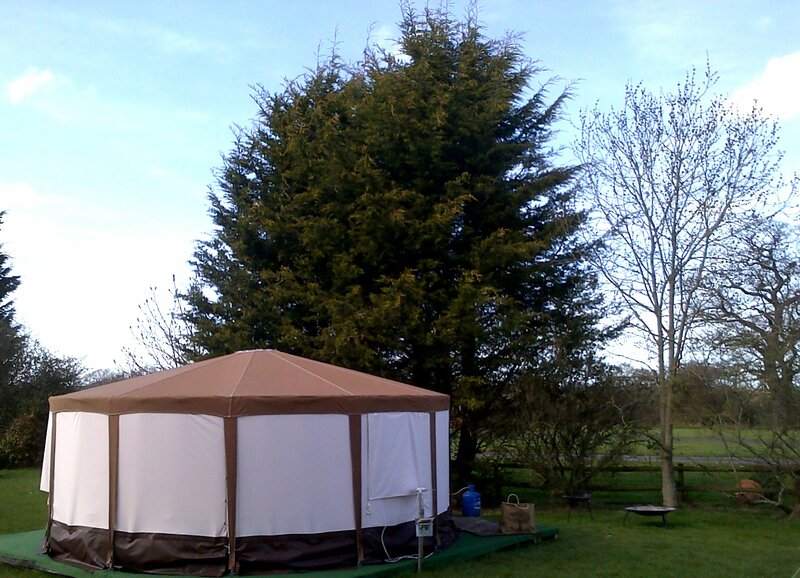 Our Yurts are available all year round and have a see-through roof dome. 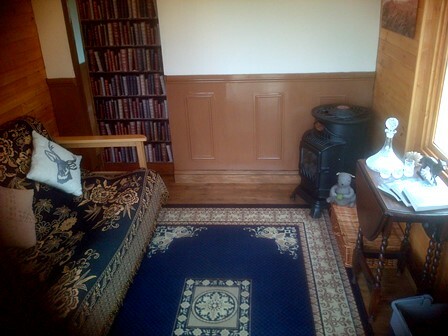 They come complete with a proper double bed, furniture, gas stove, electric cooler, electric lights & sockets, TV/DVD and a chiminea outside for burning wood or toasting marshmallows! 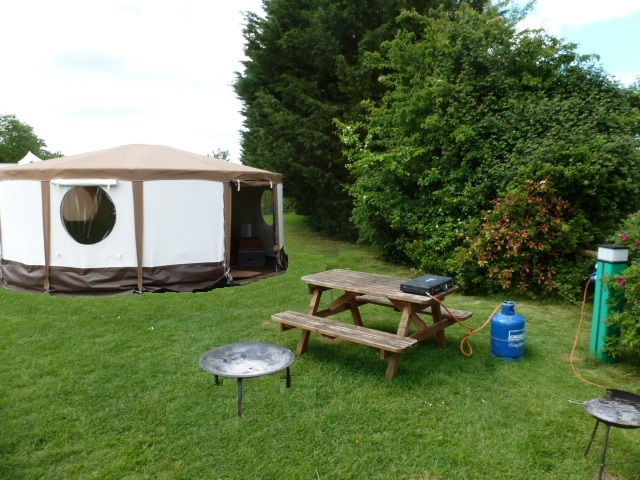 A Yurt makes a wonderful memorable glamping holiday or celebratory short break in the great outdoors, whilst allowing you many of the comforts of home. 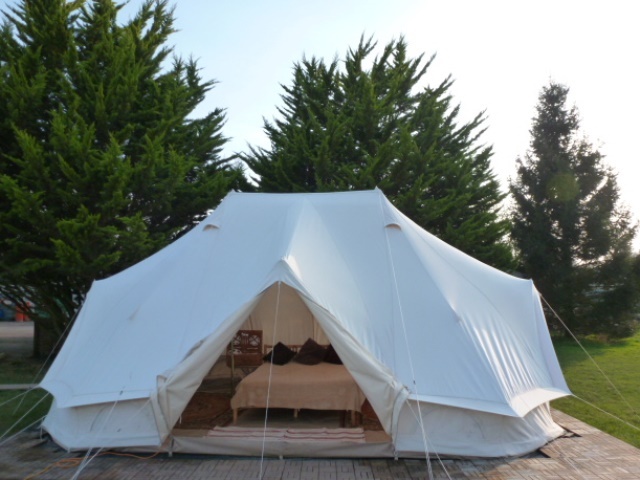 Continuing our drive to respond to your guests needs we have specifically sought out a bigger Bell tent to accommodate larger families and are delighted to offer the Family Glamping Bell Tent to accommodate larger family glamping breaks. The double central poles and three A-frames means the Family Glamping Tent has room inside to sleep up to six people on a double bed and four single futon style beds. Complete with windows and a high pinnacle there's plenty of space in the Family Bell tent to stand. Our Country Kabin is a great way to have the quintessentially English 'Country Holiday' in rural Dorset but with all the modern conveniences. 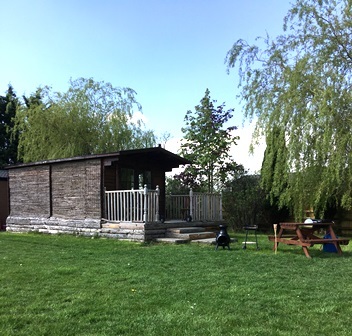 Our Country Kabin is a spacious, two room glamping lodge which has a separate lounge for a couple or makes a cosy cabin with two private rooms for families and couples, all situated in the heart of rural Dorset. We offer a range of services for our guests to pre-book to make your stay that extra bit special. Whether is late check-in, late check-out, some bunting to decorate your glamping accommodation or even hiring some games from us, we do our utmost to take catering for guests needs to the next level. Glamping, as defined by the Oxford English Dictionary is "a form of camping involving accommodation and facilities more luxurious than those associated with traditional camping", or as The Telegraph put it - "a form of recreational outdoor living in luxury Bell tents, Yurts or Shepherd's Huts rather than standard shelters." 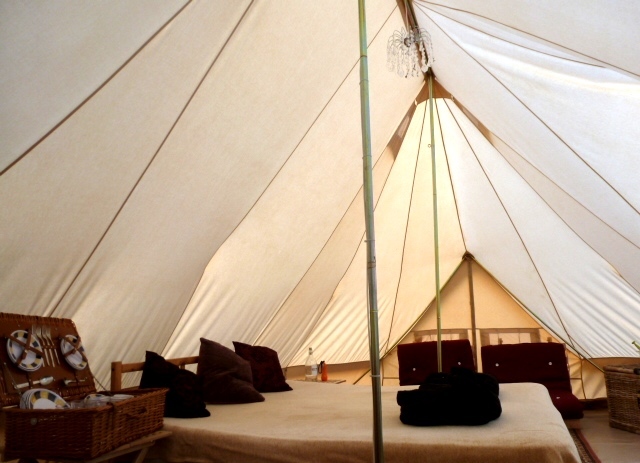 The word glamping comes from blending 'glamorous' and 'camping'. In effect, glamping is posh camping or 'luxury' camping. At Dorset Country Holidays & Events, we say Glamping is exactly what staycations should be all about, enjoying yourselves in unique & traditional camping methods be it a Yurt, Geodesic Dome, wooden Kabin, Bell tent or a family glamping Bell tent. 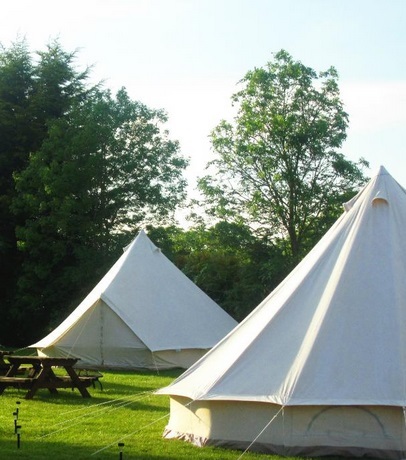 Dorset Country Holidays offers a range of glamping holiday accommodation all year round. Nestled on our family holiday park, the glampsite has full amenities, including a small shop and gym. 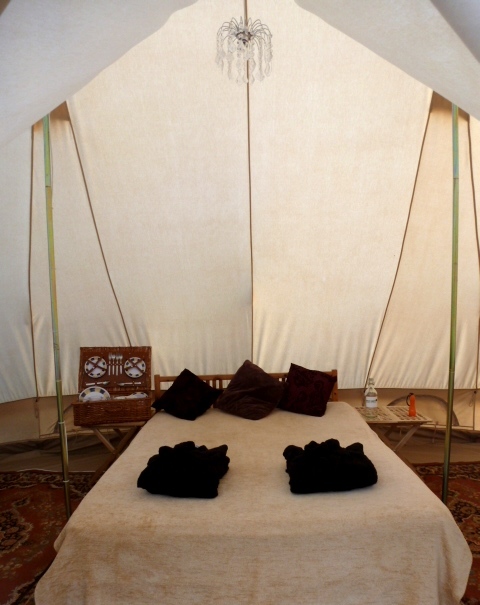 We also offer a full range of Glamping Services for our guests. We are easy to reach with direct trains to Gillingham station on the Waterloo/Exeter St David line or straight off the A30 by car. We can even do a grocery shop for you and have the items waiting for you or arrange a late check-in (up to 9pm) if you wish so you can make the most of your stay. We provide Glamping holiday hire for family glamping breaks and couples romantic glamping getaways, we've even had several people propose marriage by our lake whilst on a glamping break! Have a look around the site at the wide range of glamping we offer. 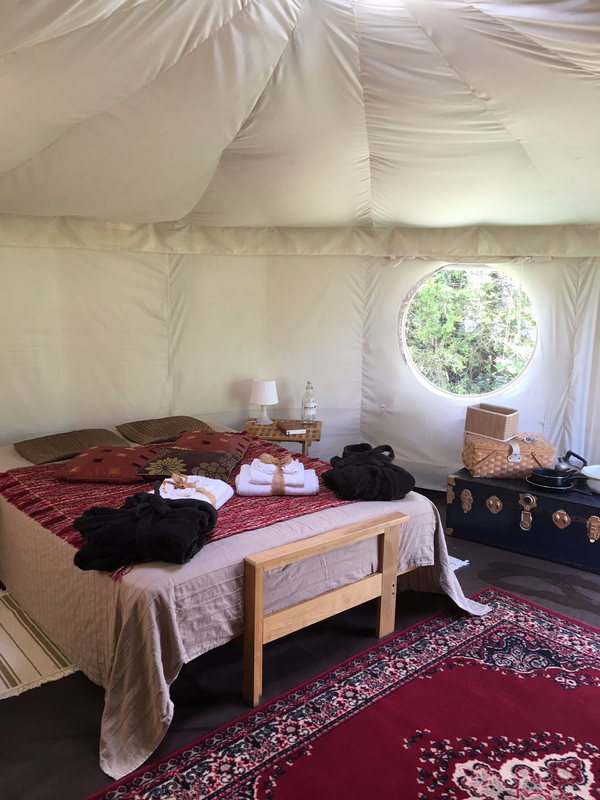 As an inherently luxury pastime, we do not believe in "cheap glamping" however having perused the market including some of the various (so-called!) deals & offers out there recently we can confidently state that we provide some of the most reasonably priced luxury glamping in the UK. *£12.92 per person per night based on six people staying two nights or more midweek in our Family Bell tent excluding Bank Holidays, school holidays & peak times.